A one-day course for riders with basic skills, this class provides more in-depth riding techniques and procedures than practiced in the BRC. The course consists of activities that emphasize personal risk management and self-assessment strategies, and on-cycle exercises with emphasis in cornering, braking and swerving. For permit holders, this course may be used as a license waiver course, if permitted by state regulations. Riders in this category would be required to successfully complete a knowledge and skill test. For riders already possessing a license or endorsement, the testing portions of the course are optional. You’ll discuss with your peers how to balance the mental and physical aspects of safe riding, manage risk, increase visibility and optimize your lane position. The Experienced RiderCourse also covers protective gear, rider responsibility, motorcycle inspection and care, the effects of alcohol and other drugs on riding, and includes an optional skill evaluation and knowledge test. Using your own motorcycle and helmet, you’ll put into practice the techniques of managing traction, stopping quickly, cornering and swerving. 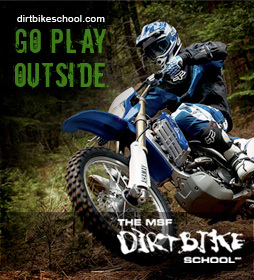 Find a RiderCourse near you.